Yesterday I had the pleasure of photographing Lillie and Jamie’s wedding in St Austell, Cornwall. 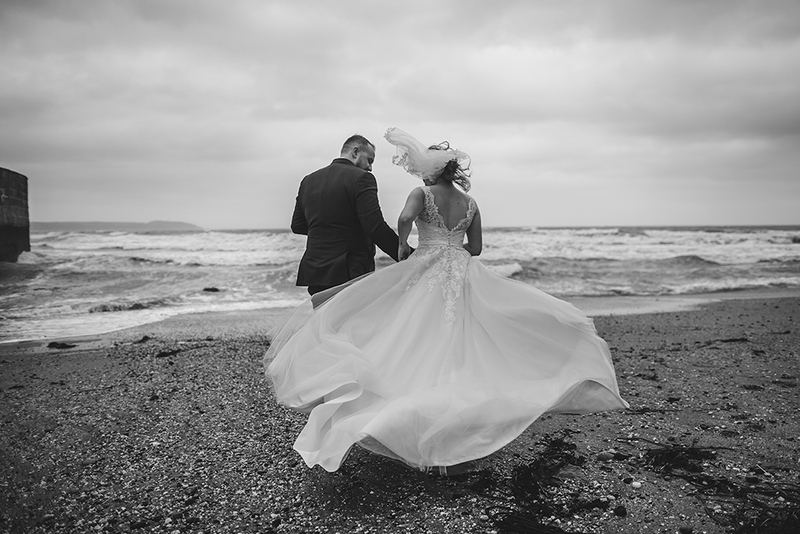 After tying the knot at St Levan’s Church in Higher Porthpean, we headed down to Charlestown Harbour for some wedding photos on the beach, before moving onto the reception which was being held at Pentewan. These preview pictures were taken on the right hand side of Charlestown Harbour on the stony beach and show Lillie and Jamie braving Storm Callum. If you are looking for a photographer to capture your special day, my 2019 diary is almost full. Please contact me to check availability and also the latest offers. I shall look forward to hearing from you soon.